The Eastern Sector border is the controversial McMohan Line which is not accepted by China. China claims the entire Arunanchal Pradesh as its own. The Sikkim-Tibet border is the only demarcated region where the border is formed using pillars. However, there are issues regarding the exact location of the pillars. The geographical location where the international borders of the three nations meet. According to Bhutan, the tri-junction is at ‘Dhoka La‘. According to the Chinese, the tri-junction is at Gamochen, which is 13.5 km south of Dhoka La. According to India, the tri-junction is at Batang La, which is located between Dhoka La and Gamochen (6.5 km north of Gamochen). The Indian claim is the clearest of all because a river flowing near Batang La can easily be used for the demarcation of the borders. All these three regions lie in a disputed hilly region called the Doklam Plateau. The special relationship between India and Bhutan has been sealed by the Treaty of Friendship, 1949 and later by the Treaty of Friendship, 2007. Bhutan has been a protectorate of India since a treaty in 1910 between the Bhutanese and the British. The two treaties (of 1949 and 2007) make Bhutan militarily dependent on India. India’s Eastern Army Wing and Eastern Air Command protect Bhutan also. The Indian Military Training Team (IMTRAT) plays a critical role in training Bhutanese security personnel. The Bhutanese foreign policy is almost completely guided by India. On 16 June, 2017, Chinese troops made an excursion into the disputed territory which is claimed both by India and Bhutan. They had road-building equipment with them and aimed at extending a road into the disputed territory. On 18 June, around 270 Indian soldiers, with weapons and 2 bulldozers, entered Doklam to stop the Chinese troops from constructing the road. Later on 29 June, Bhutan protested against the Chinese excursion. Had the Chinese been able to construct a road in the disputed area, they would have come much closer to the highly strategic Siliguri Corridor. The Siliguri Corridor is a very thin strip of land in the state of Bengal that connects the mainland India with the North-East of India. In an event of conflict between India and China, it will be extremely easy for China to cut off the NE from the mainland if it gets easy access to the Siliguri Corridor. Furthermore, the area just above Doklam in China has transport facilities like a railway track and a metalled road. Thus, it will be easier for China to supply equipment and troops into the region. It will also be easier for China to increase its trade links with Bhutan if the geopolitical centrality of Tibet in the South Asian region increases. How the Doklam Issue Impacted the Indo-China Ties? Both India and China withdrew their troops from Doklam on 28th August after more than two months of faceoff and the road construction has halted. India and China have fought a decisive war in 1962 and there have been several such standoffs in the succeeding decades. Both the nations are heavily armed, with China and India having the world’s second and third largest armies respectively, and are nuclear powers. Both the nations are the world’s fastest growing economies and are each other’s direct competitors in almost every respect. 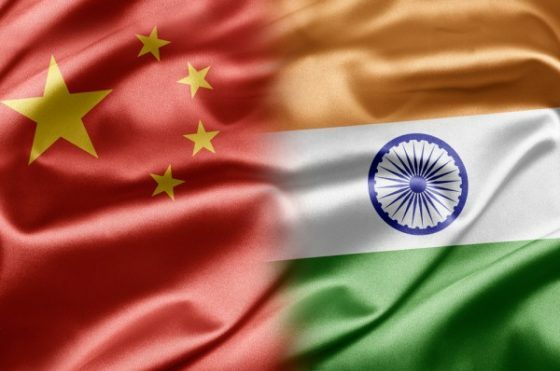 India and Bhutan were also the only two countries from the South-Asian region which refused to attend the Chinese BRI Summit, which is an ambitious economic partnership of China. One of the branches of the BRI, the China-Pakistan Economic Corridor passes through the PoK, which India has claimed to be a violation of her sovereignty – the same claim put up by China against India in the Doklam Issue. Furthermore, China has been continuously blocking India’s entry into the UN Security Council & NSG and also India’s attempts to declare Masood Azhar as a designated terrorist. Obviously, the standoff strained the already strained diplomacy. The standoff was actually an open demonstration of the tensions prevailing between the two. Although the Chinese withdrew from the spot doesn’t mean they won’t return in the same way or the other. Incursions and manipulation of facts on the ground has been a time-tested technique of the Chinese – the one they used in the South China Sea. Thus, there is going to be further lack of trust between the two nations. The Chinese move shows the extent to which China has penetrated into South Asia. The loneliness of India was vivid as hardly any other country, whether in the Indian neighborhood or not, came up in Indian defense. China has been increasing its influence in the South Asian region as was seen recently when it received the contract to build the Hambantota port in Sri Lanka. There were voices in Bhutan as well that wanted a “balanced foreign policy” which is equivalent to opening up space for ties with China. It was also evident in the silence that Bhutan maintained while the standoff was in its climax. It is a self-help world for India when it comes to combatting China. Almost every country in the world has strong economic ties with China which none can forego for us. The Indian military infrastructure is an extremely dilapidated condition. There are not even the required numbers and length of perennial roads while there is a dense infrastructure on the Chinese side. It is time to accept the fact that India is still far from being a military match when it comes to China. Even in the Sikkim sector, where India has a strategic advantage, the best we could do was defense. It is time to open up diplomatic and economic ties with China. This is not akin to accepting Chinese superiority in the region, but a handsome and low-cost way to make our own way to the top without much hassle. Afterwords :- What is your thoughts on this topic? Let us know your opinions in the comment section below. Subscribe to our blog to read answers to trending gd topics. Yes. It is time to open up diplomatic and economic ties with China. Conflict can be solved by mutual understanding & consensus . Doklam issue is a border conflict between india and china.As china and india no one would be benefited from capturing the doklam area as it already internationally demarcated. doklam issue is not a border conflict between india and china. China started constructing a road in a region which is disputed between bhutan and china. bhutan being a weak country cannot raise its voice alone against china also if china gets connected to the doklam plateau india’s chickens neck(the region which connects east india with rest of india) will be vulnerable and we can lose our eastern states. so india has to intervene chinese road construction in doklam plateau for its own interest as well as bhutan’s interest. india should increase its connectivity with india through some other path apart from the chicen’s neck region. also the troops along the 3,500 km long border between india and china must be provided with advanced weaponry.